These two dishes are part of a rare genre of ‘blue & white’ porcelain made in Japan for the central Java market in what today is Indonesia. They are of shallow form with rounded sides and with a low, bevelled too rim. 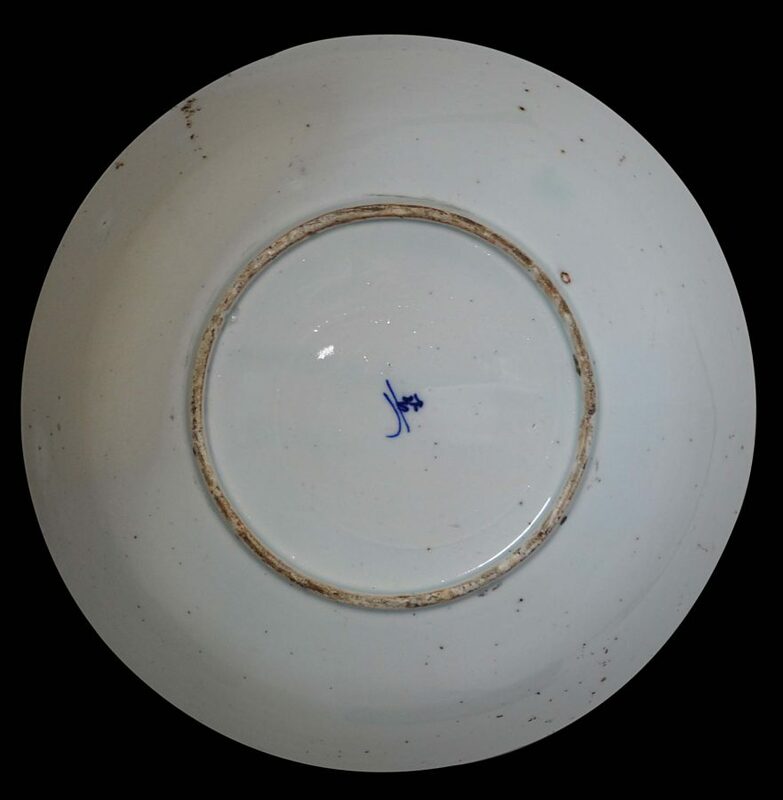 They are of white porcelain with underglaze designs in blue. 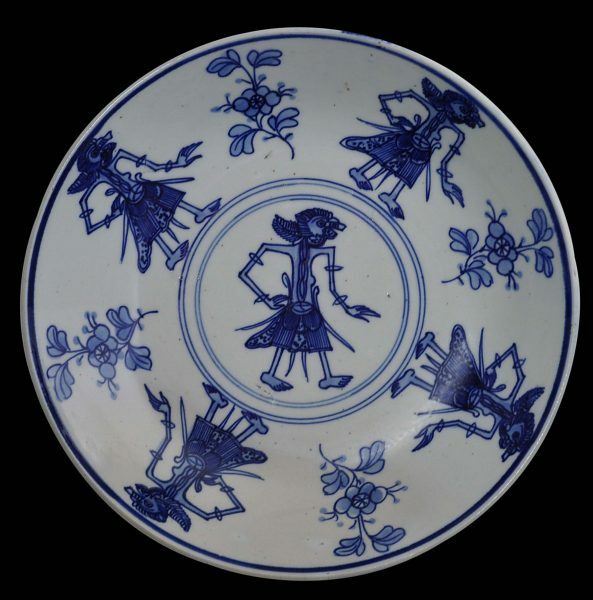 Both dishes are decorated by hand with the Japanese potter’s interpretation of four Javanese shadow puppets (wayang) around a central roundel decorated with a further wayang figure. The four outer wayang figures are separated by leaf and blossom sprays. The wayang figures are of classic central Javanese wayang kulit form: they are cartoonish, stick-like figures with long, pointy noses, central Javanese aristocratic dress incorporating batik patterns, and, like conventional wayang figures, are presented in profile. Wayang puppets were used on Java to present performances based on the Indian epic Ramayana and Mahabharata stories. Made of leather and supported by sticks, they were used against a back-lit screen to present a puppetry performance. Probably the dishes were commissioned on behalf of the kratons (palaces) of central Java. 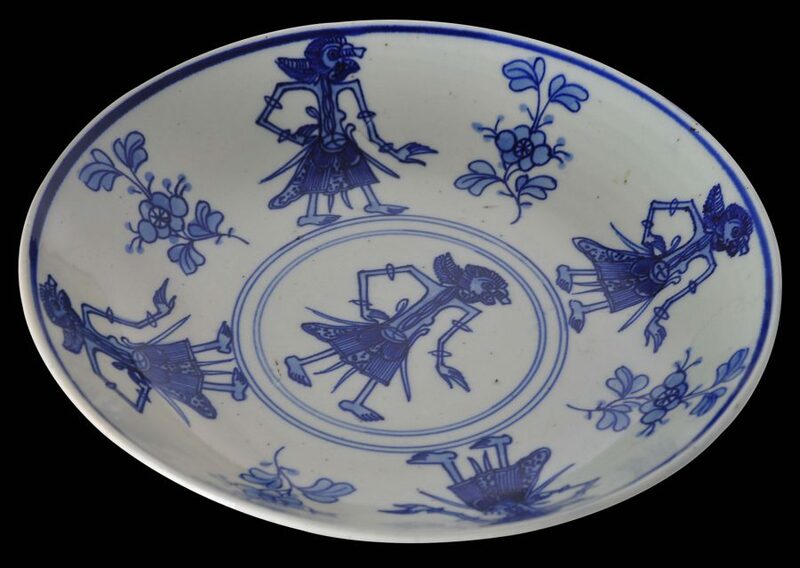 More dishes than plates, they have relatively steep sides, which makes them ideal for eating rice with wet curries with the hands as all on Java did. The steep sides would have been used by the diner to form a ball of rice against the side with the right hand, and the rice ball was then used to mop up the gravy of the curry, before being delivered to the mouth. 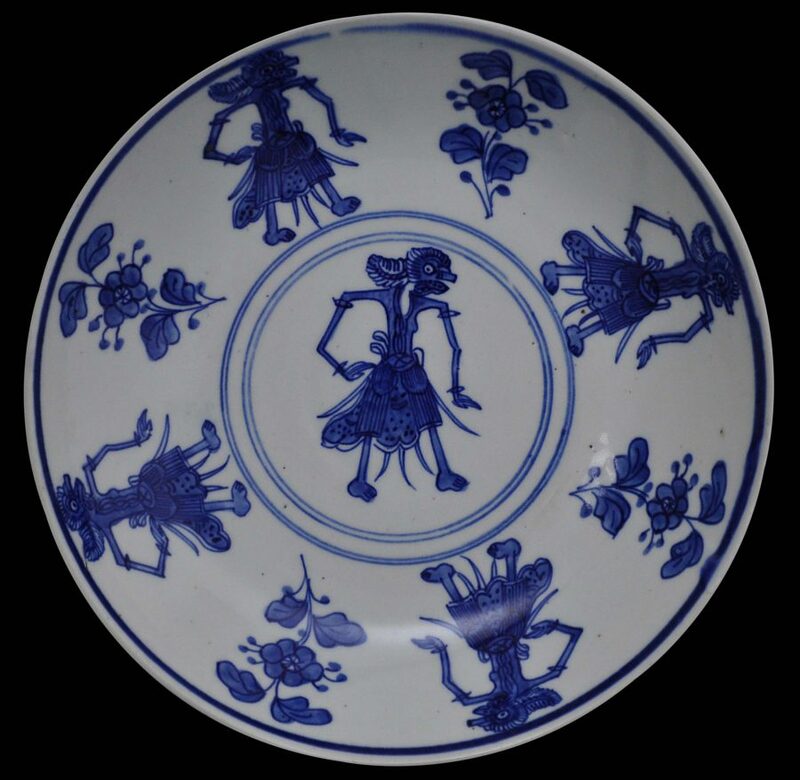 A similar, though larger dish, and most probably from the same set, is in the Department of Museums and Antiquities, Kuala Lumpur, and illustrated in Bennett et al (2005, p. 79). The dish is identified as coming from China but this is unlikely. Another illustrated in Cheng (1984, plate 117) is identified as being from Japan and is ascribed to the early 20th century, which might be a little too late. The two here are in excellent condition and are without cracks, chips or repairs. 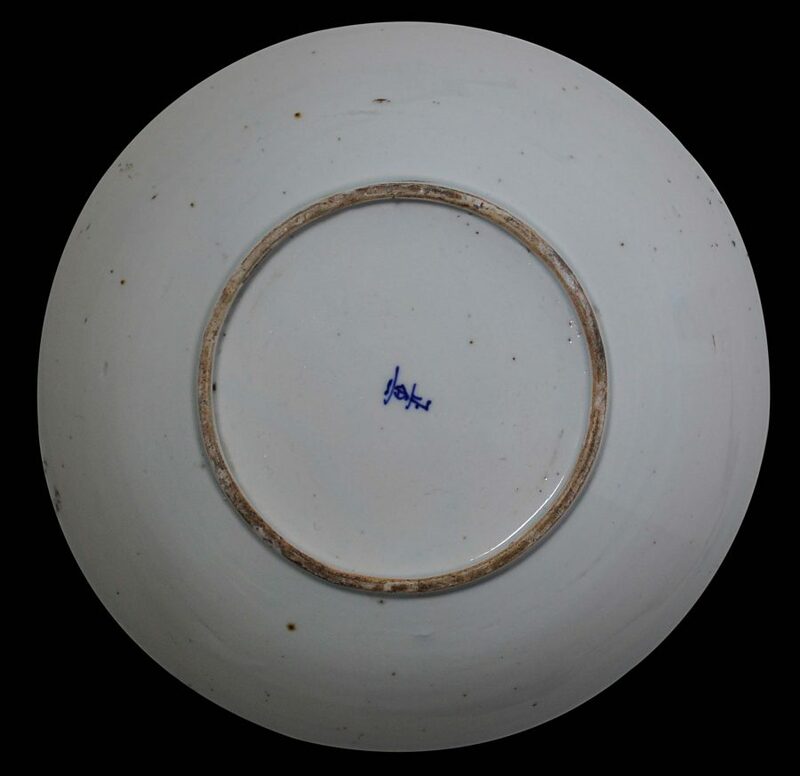 Both are marked on their reverses with Japanese ideograms, which probably are the trademarks of the potter. 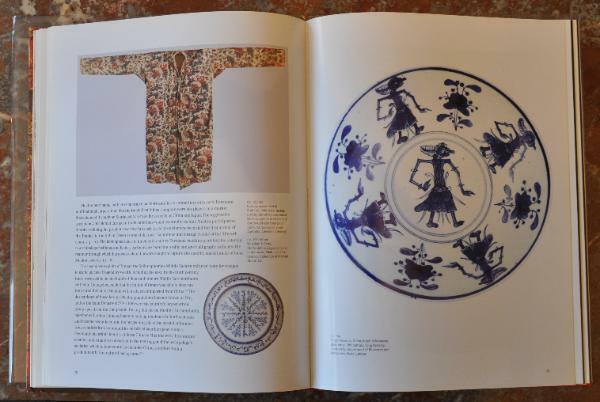 from: Bennett, J.,et al.,Crescent Moon: Islamic Art & Civilisation in Southeast Asia, Art Gallery of South Australia, 2005. Cheng, T.K., Studies in Chinese Ceramics, The Chinese University Press, Hong Kong, 1984.